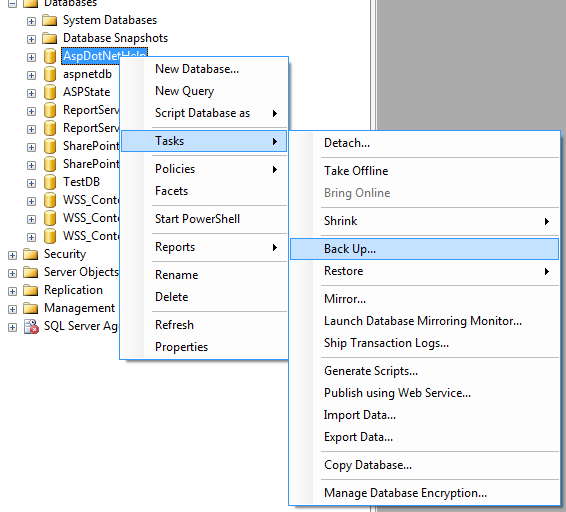 In this post we will discuss how we can take backup of a database using SQL Server 2008. But if you want you can change that. 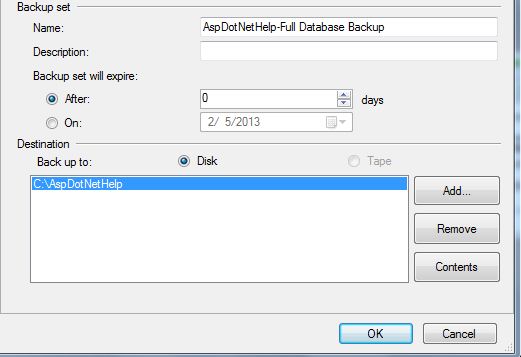 For this click on Add then it will Select Backup Destination dialog box. After that the path will be selected like below. 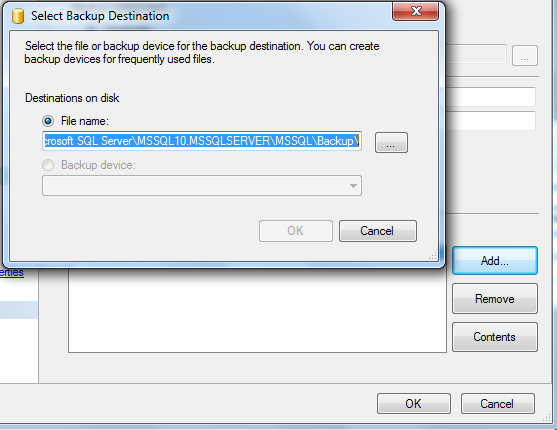 Then click on Ok, it will take the back to the selected location.